Undoubtedly, iOS is falling behind in many aspects. One is in blocking password our iOS devices: a nuisance that should have been replaced long ago by techniques such as facial recognition or drawing a pattern that the user sets. We know that the company is working to offer more comfortable other methods to block the iPhones and this week we get one of them through the Trademark Office and U.S. Pat. Select a photo with the face of a friend, and indicate the name of that friend. When we want to unlock the terminal, including all options that we offer lock screen, press in the name of our friend to unlock the terminal. If you click the wrong name, the phone can not be unlocked. The same can be done with objects and animals. An interesting idea. Only hope that Apple will apply the story and we will soon see other options terminal block. 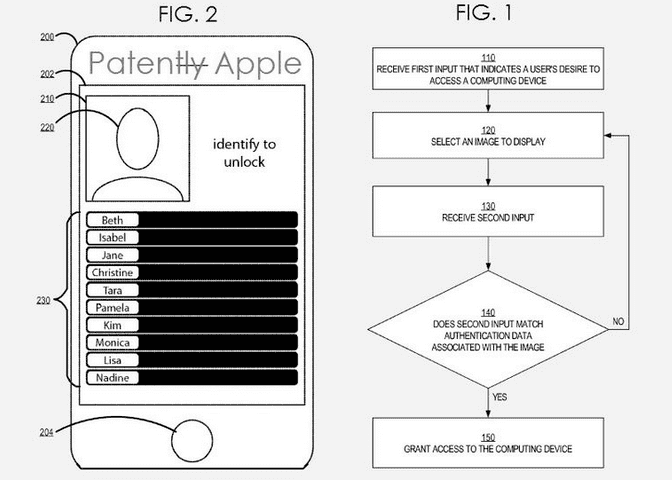 Article A patent to unlock the iPhone with pictures was originally published in News iPhone .